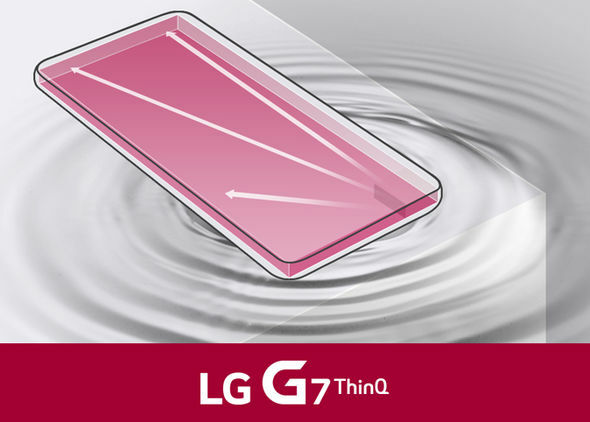 The LG G7 ThinQ is equipped with 1.7GHz octa-core Qualcomm SDM845 Snapdragon 845 processor. The phone comes with 4/6 GB high-speed memory and 64/128 GB internal memory which can be expanded up to 400 GB via a microSD. The LG G7 ThinQ runs Android 8.1 (Oreo) and the price is 650 EUR. It packs a non-removable Li-Po 3000 mAh battery with support for wireless charging and Quick Charge 3.0. The LG G7 ThinQ boasts off 16 megapixels rear camera with OIS, phase detection autofocus, LED flash, laser autofocus, and wide-angle lens. The smartphone has 8 megapixel front for selfies and video calling. It is a hybrid dual or single nano-sim smartphone which is dust and waterproof (up to 1.5m for 30 mins). According to www.express.co.uk phone will be launch tomorrow in New York. The smartphone comes in four colors (Black, Gold, Blue, White). It has a 6.1-inch touchscreen display with Corning Gorilla Glass 5 protection. The phone’s screen resolution is 1080 x 3120 pixels at a PPI and 19.5:9 ratio. The phone supports connectivity options include Wi-Fi, GPS, Bluetooth, NFC, USB OTG, 3G, and 4G. The smartphone,s dimensions are 6.03 x 2.83 x 0.32 inch.